What a wonderful wedding! Everyone and everything looked so beautiful. London is such a magnificent city and looked its best on the Royal Wedding Day. 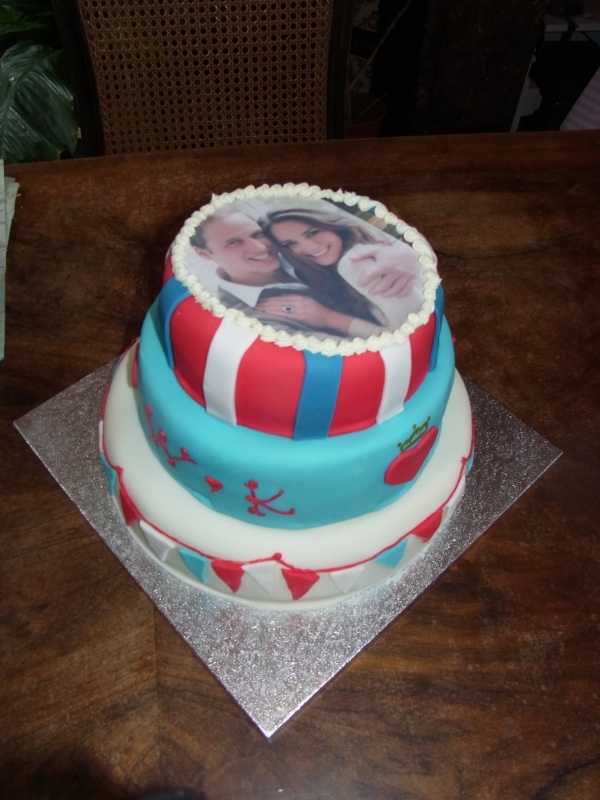 Cake Dreams was definitely caught up in the excitement with our own Royal Wedding Cake, made for a 'royal wedding party' hosted by some of my American clients in north London: a 3 tier cake decorated with bunting, initials of the bride and groom and topped with an 'edible icing photo' of the happy couple! It was a big hit and delicious too. The wedding and cake were of course planned well in advance but I have been getting many last minute requests for cakes - last minute as in tomorrow! Cake Dreams is a small operation with just little ol' me and no big bakery staff. 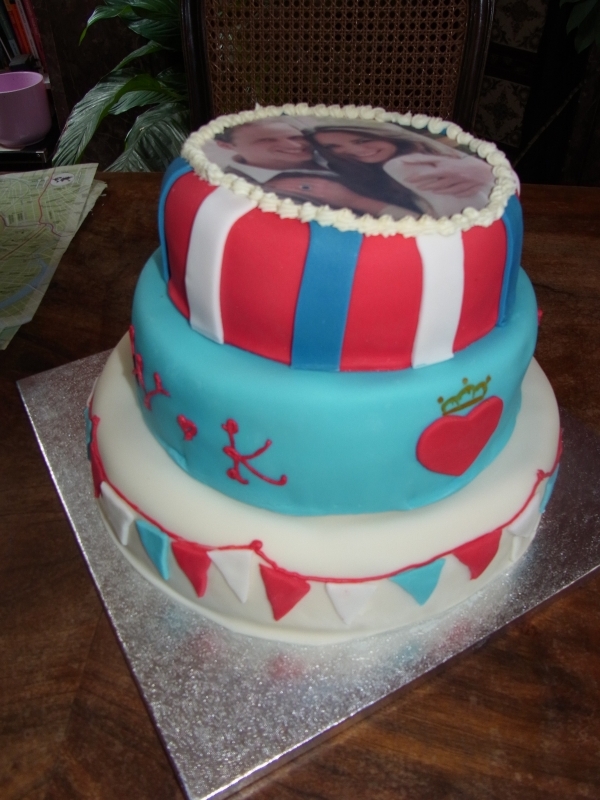 All cakes are made to order and cakes take planning and time to create something special. I always try to accommodate but to be safe the more time I have the better the outcome! Thanks.